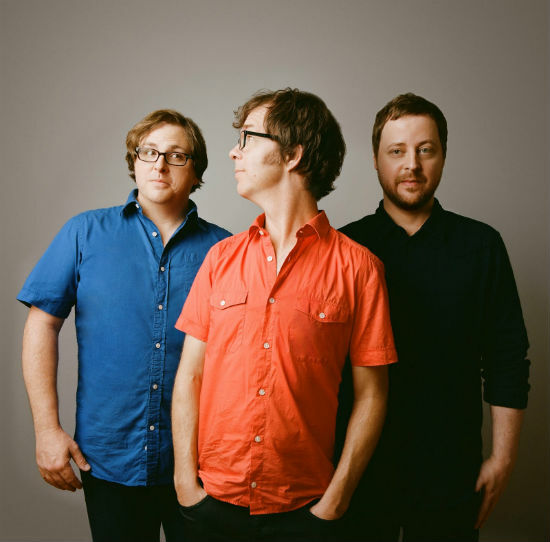 When MySpace approached Ben Folds Five about reuniting for a one-off show, the call came at the perfect time for bassist Robert Sledge. It was mid-2008, and he hadn’t played with Folds or drummer Darren Jessee in eight years, which was just enough time for old wounds to heal. Folds, on the other hand — preparing to release his third studio album, “Way To Normal,” — had the next several years of his career planned. Between releasing an a capella album with collegiate music groups and collaborating with High Fidelity author Nick Hornby, Folds had little time for more than a one-off, but the seeds were planted. The reunion show held in Chapel Hill, N.C., where the band formed, offered a stripped-down version of Jessee’s band Hotel Lights to open the show. All three members say the same thing about reuniting: instant chemistry. In early 2012, the band finally started work on what would become its first studio album in 13 years, The Sound of the Life of the Mind. Nobody in the band can recall the exact moment when they decided to call it quits, but Folds and Jessee trace the decision back to a conversation between the two sometime during the band’s 1999 tour of Japan, most likely during their three-night stand at the Tokyo International Forum. The band agreed not to make a rash decision and wait until the tour ended, but the evidence became hard to ignore. A few weeks later, an email began circulating between the band and management proposing that they take some time apart. This news came as a confirmation of Sledge’s fears. Doubts about Jessee’s enthusiasm for the project crept in after a conversation between the two in a restaurant in Chapel Hill, weeks before the tour. The decision had been a long time coming. Since the band formed in 1993, they’d been running themselves raw. Personal life also pulled them in different directions, particularly Folds, whose then-wife Frally Hynes just gave birth to twins. While the band members all call the split mutual, only Sledge admits some pain surrounded the breakup. “I was gutted,” he says. “But honestly, outside of the band, I had no personal life, no home life. I’d lived in hotels and had a bad quality of life. Even though hurt feelings didn’t play a large part in the breakup, many years passed before the members even spoke with each other. After playing their final concert in 2000, the three men known as Ben Folds Five went their separate ways.